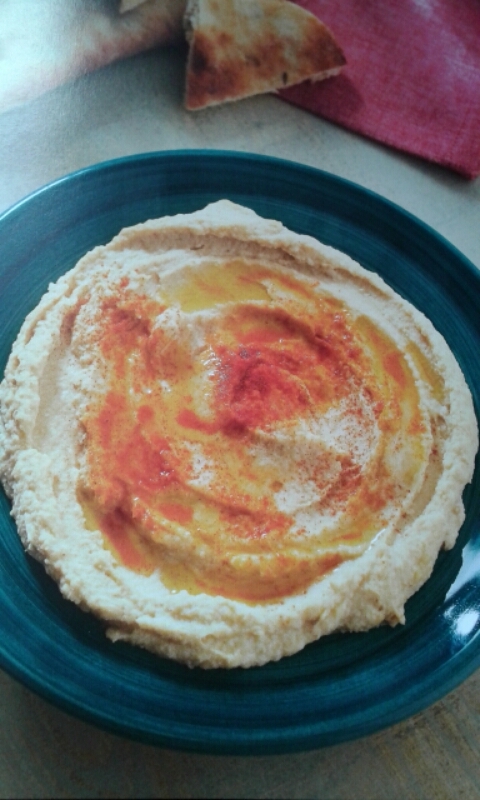 ¿QUÉ ES EL HUMMUS?EL HUMMUS ES UNA RECETA MUY SALUDABLE Y POPULAR DEL MEDITERRÁNEO ORIENTAL Y OTRA MANERA DE COMER LEGUMBRES.SE RECOMIENDA EL CONSUMO DE LEGUMBRES DE 2 A 4 RACIONES POR SEMANA, ES UN ALIMENTO RICO EN PROTEÍNAS VEGETALES, HIDRATOS DE CARBONO COMPLEJOS, MINERALES (POTASIO,HIERRO, CINC, CALCIO, MAGNESIO) Y VITAMINAS (ÁCIDO FÓLICO), FIBRASI A ESTO LE AÑADIMOS LAS INCREÍBLES PROPIEDADES DEL SÉSAMO, EL AJO, EL LIMÓN... TENEMOS UN PLATO MUY SANO Y NUTRITIVO. LA RECETA CLÁSICA: (PARA UNOS 600GR)400 g GARBANZOS COCIDOS (O UN BOTE DE GARBANZOS COCIDOS ECOLÓGICOS)60 g AGUA30 g ZUMO DE LIMÓN40 g SÉSAMO TOSTADO O TAHINI70 g ACEITE DE OLIVA VIRGEN EXTRADE 1 A 3 AJOS (A GUSTO)PIMENTÓN O COMINO (OPCIONAL)1/2 CUCHARADITA DE SAL PREPARACIÓN:SI USAS SÉSAMO YO LO MUELO PRIMERO UNOS SEGUNDOS CON Thermomix® , DESPUÉS AÑADO EL RESTO DE INGREDIENTES Y TRITURO 1min/vel 5-10 progresivamente.EN MI CASO YO NO PONGO AJO POR TEMA DE INTOLERANCIA EN MI HIJO Y LE AÑADO 60 g DE LIMÓN Y BASTANTE PIMENTÓN DULCE.UNA VEZ TERMINADO SE PUEDE ESPOLVOREAR PIMENTÓN, UN POCO DE ACEITE Y UNAS SEMILLAS DE SÉSAMO.EXQUISITO, CON Thermomix® SALE UN HUMMUS ESPECTACULAR! 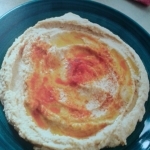 VARIANTE: HUMMUS DE GARBANZOS Y ALCACHOFAS:400 g GARBANZOS COCIDOS1 TAZA DE CORAZONES DE ALCACHOFAS ESCURRIDAS2 AJOS (A GUSTO)ZUMOS DE LIMÓN (A GUSTO)1 CUCHARADA DE ACEITE DE OLIVA VIRGEN EXTRA1 CUCHARADA DE AGUA1 CUCHARADA DE TAHINISAL Y PIMIENTA NEGRA (A GUSTO) LA ELABORACIÓN SERÁ IGUAL QUE LA RECETA DE HUMMUS TRADICIONAL ESTÁ MUY RICO CON NACHOS, PALITOS DE PAN Y MÁS SANO CON BASTONES DE VERDURAS (ZANAHORIAS, APIO, CEBOLLETAS, PEPINO, LECHUGA...) MÁS VARIANTES:EN LUGAR DE GARBANZOS PONER FRÍJOLES BLANCOS. 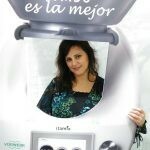 ÉSTOS TAMBIÉN SE USAN PARA DIETAS DETOX, PARA PERDIDA DE PESO Y GRASA ABDOMINAL. CUÁNDO TOMARLO?